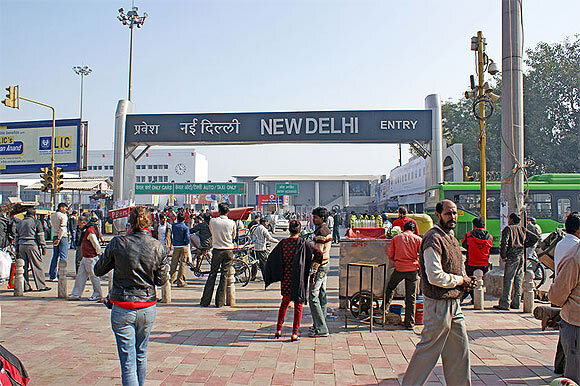 Close to 5 lakh passengers travelling via the New Delhi railway station, the busiest in the country, will now be able to connect to the internet through the Wi-Fi service. Terming internet as a "new necessity", Railways Minister Suresh Prabhu said efforts are on to make maximum use of science and technology, particularly information technology to provide better facilities to passengers. "Today we have launched Wi-Fi service at New Delhi station. This has become a necessity for the people," he said after launching the service. People thronging the station can now access Wi-Fi internet on any of the 16 platforms free of cost for an initial period of 30 minutes after which they would be required to register for the same using their mobile phones. Beyond 30 minutes, the user would have to purchase scratch cards costing Rs 25 for 30 minutes and Rs 35 for an hour and valid through 24 hours, which will be made available at 24X7 Wi-Fi helpdesks on the concourse at the Paharganj and Ajmeri Gate sides of New Delhi railway station. Prabhu said Railways is planning to provide the facility at all major stations, and trains also to connect the common man. "Our Prime Minister's dream is that there should not be hi-fi but Wi-Fi. It should not be limited to only a few people but to common people also. We are trying to provide this facility to more and more stations as soon as possible. "We are finalising an action plan for this and besides stations, we will provide it on trains also. This is a beginning today, but it will not be confined to one station only," he said. The project is being implemented by RailTel, a railway PSU which is mandated to provide the service. The total cost of the project is Rs 50 lakh and an amount of Rs 16 lakh will be spent annually to run the facility. The Wi-Fi facility is to be provided at 75 major category stations within a year. It is to be launched on a trial basis at Agra, Ahmedabad and Varanasi by the end of December and at Howrah, Mumbai's Chhatrapati Shivaji Terminus and Secunderabad stations by January next year. Now, access Internet for free at Chennai Central station!